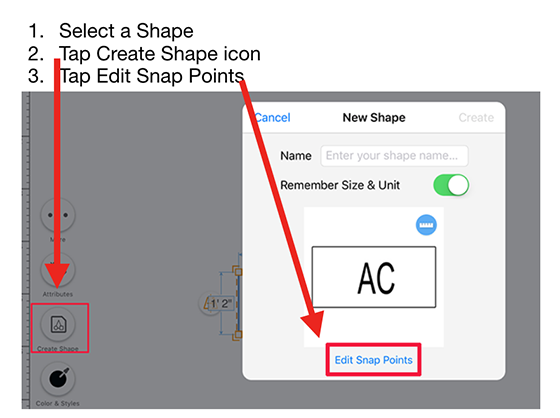 Create Your Own Specific "Shape Library"
As great as shapes are, they may not be perfect ( sized wrong, incorrect, need tweaking, etc.). You can certainly end up with more shapes than you need, spread out over multiple tabs. 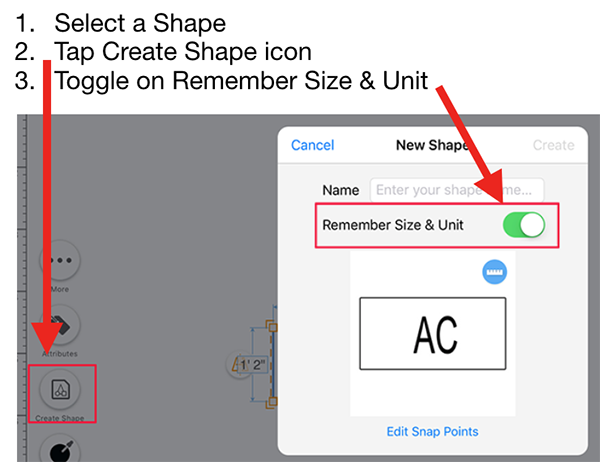 Note - The original shapes will still be available from the Shapes panel. You will be saving any changed shapes as new shapes owned by you and your team only. Existing shapes can be broken back into their original individual pieces. At that point all options are available, just as if you were making it for the first time. 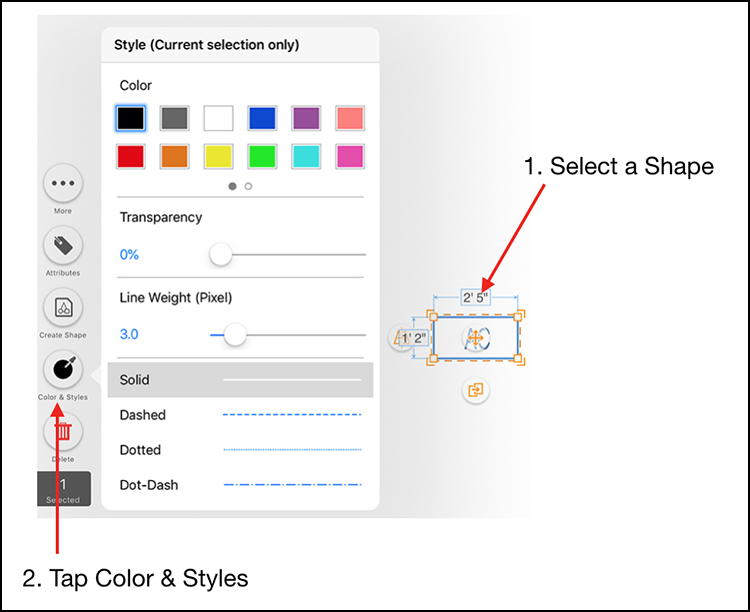 Change lines styles, thickness, color, lengths, etc. 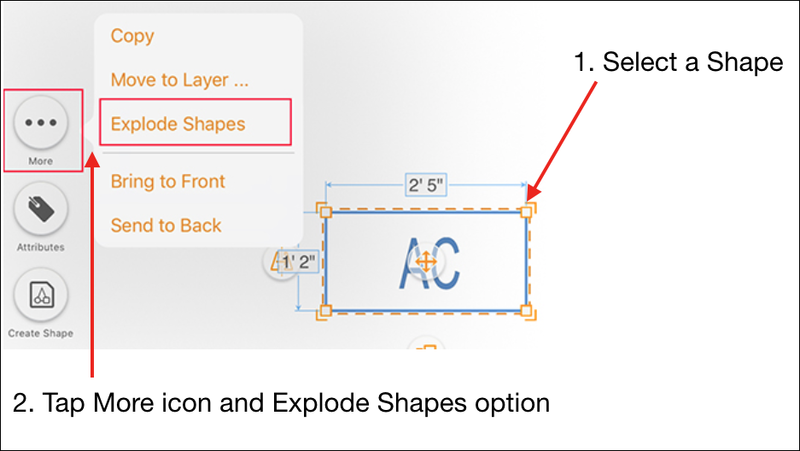 You may have noticed that some of the shapes that ship with the app appear at the "wrong size". If you want a shape to always appear at a given size, do the following. Now when those shapes are dropped on screen, they will always come in at the same size and unit. 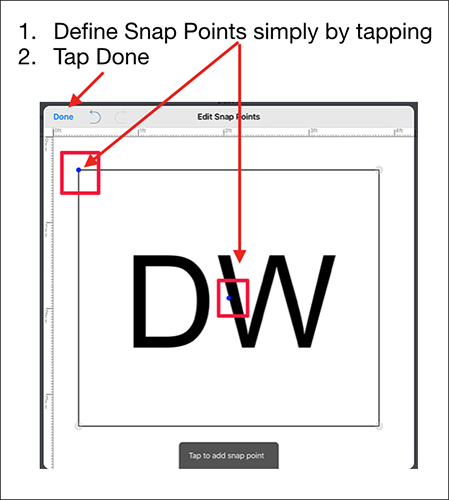 You can define "snap points" for your shapes so that when they come up against another screen objects, they can snap to edges or center, etc. This can really speed up placement of your shapes. As part of the Saving process, you must give the shape a name.